Caramel and Coconut Blondies – all the flavors of your favorite Girl Scouts® cookies in a quick and delicious blondie. Best of all, it’s so easy to make and perfect for sharing. With the hot temps we’ve been getting so far, I haven’t been doing as much baking as I usually do. I don’t know if it’s just plain summertime laziness or that I just don’t want to heat up the house even more…..but I think it’s been months since I baked a sweet treat. I guess the kiddos and I have just been having too much fun making ice cream, popsicles and no bake treats….but I had to make an exception when I found out that Pillsbury came out with these new Girl Scouts® Cookies baking mixes. Girl Scouts® Cookies happen to be a favorite around here so I loved the idea of getting to easily recreate those same flavors at home. My kiddos love helping me whenever we’re in the kitchen and these simple mixes make it so easy. You seriously only need 4 ingredients and less than 5 minutes to get them ready for the oven. They come in a few different varieties and it’s awesome that there are no artificial colors, preservatives, or flavors in all of them. I used the Girl Scouts® Caramel & Coconut Flavored Blondie Mix. The blondies that we made came out tasting and looking like our favorite Girl Scouts® cookie – soft, chewy and deliciously coconut-y. 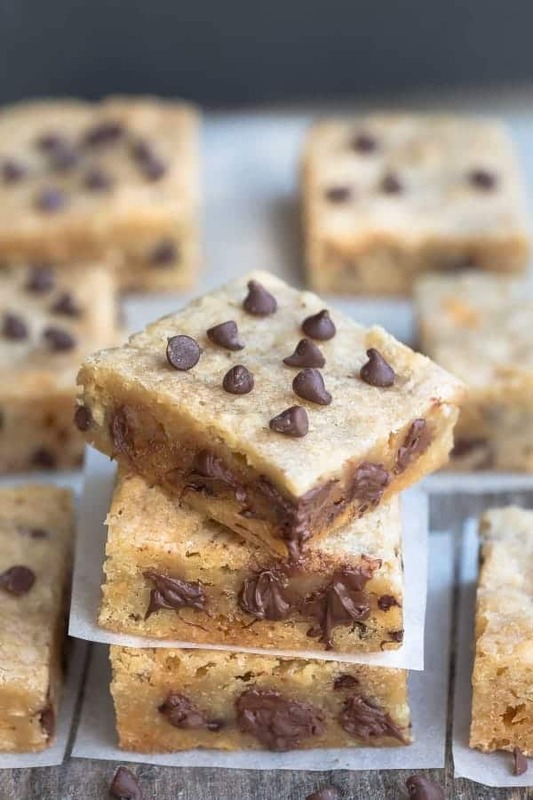 With so many summery events happening, these blondies would be a great dessert to take along along to your next cookout. They can be easily made the night before and the mix makes them SO easy. Try them for yourself and see which is your favorite! Caramel and Coconut Blondies - all the flavors of your favorite Girl Scouts® cookies in a quick and delicious blondie. Line an 8 x 8 square pan with parchment paper leaving an overhand at the sides fore easier removal. Set aside. In a microwave safe bowl, add butter and heat until melted in 30 second increments. Allow to cool slightly. Stir blondie mix in along with the egg and water until combined and smooth. Top with mini chocolate chips if desired. Pour batter into prepared pan and bake for 31-34 minutes. 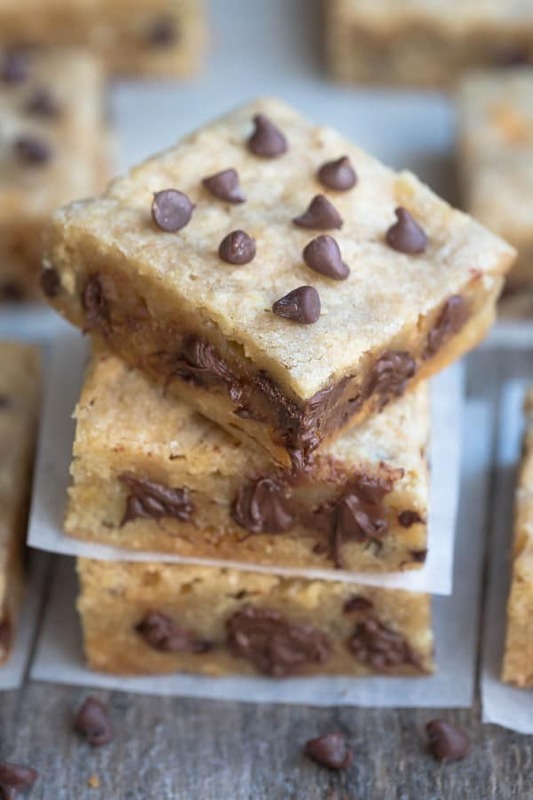 Allow blondies to cool before cutting.